Cleaning a mattress can be a very difficult task. 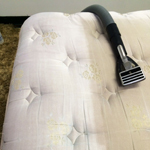 Let Olson's Steam Carpet and Upholstery Cleaning handle the hassle of cleaning your mattress for you! Some stains can be very difficult to remove, however, our professionals have techniques proven to remove even the toughest of stains. 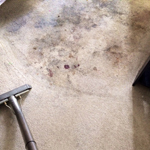 Our carpet steam cleaning can help you alleviate allergy symptoms through our state of the art and high quality techniques. We work with residential customers and landlords to provide only the highest quality flood clean-up techniques and services in Saskatoon. Olson’s Steam Carpet and Upholstery Steam Cleaning provides quality workmanship anyone can afford, with no hidden costs. 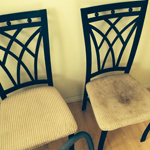 We work with Saskatoon homes and businesses get their carpets and furniture clean. Using our powerful truck mount unit, we remove stains, pet urine, odors, and flood damages. We also clean mattresses and fabric, with scotch guard available. Sanitizing your carpets and furniture with professional steam cleaning can also alleviate allergy symptoms. Our specialty is apartment cleaning, covering multiple units in a short period of time. 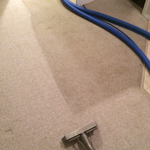 Olson’s Steam Carpet and Upholstery Steam Cleaning works with landlords to develop an ongoing maintenance schedule. For plush, bright, and odor-free carpeting in your home, office, or commercial building, contact us to schedule an appointment.